Prices succumb to higher throughput. Home > Cattle > Prices succumb to higher throughput. 29 Mar Prices succumb to higher throughput. 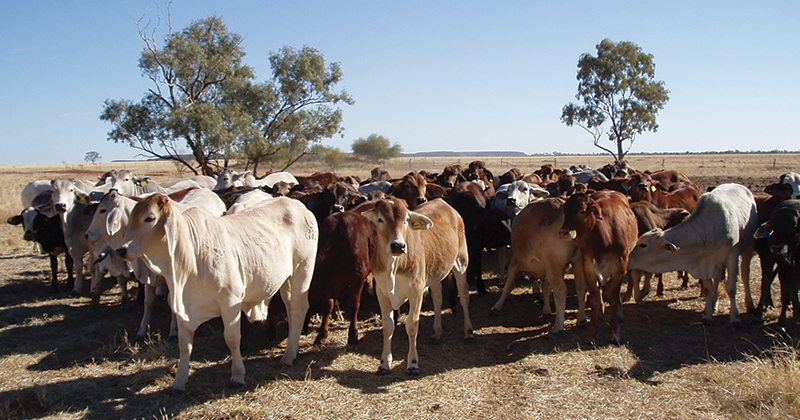 A jump in throughput across the Eastern seaboard, particularly in NSW and Queensland, puts the heat on cattle prices this week with the Eastern Young Cattle Indicator (EYCI) shedding 3% to finish trading yesterday at 544¢/kg cwt. Losses were noted across the board for most cattle specifications, with only East coast trade steers managing to hold their ground, trekking sideways to remain above 300¢/kg lwt. Medium cows taking the biggest hit with an 8% drop to close at 195.3¢/kg lwt – Table 1. Figure 1 gives a clue to the pressure behind the price weakness – a 37 % lift in cattle throughput along the East coast to see 69,515 head yarded. This reflects a level 22% higher than the seasonal average pattern for this time of the year and extends above the usual range that could be expected given the historic variation in the series, as shown by the yardings pattern breaking outside the top of the grey 70% band. The primary catalysts for the lift in East coast throughput were increases on the week in NSW and Queensland yarding levels of 38% and 87%, respectively. Its hard to see East coast throughput sitting this elevated for too long and the prospect of the looming Easter break along with the northern rains due, courtesy of Cyclone Nora, will see supply tighten temporarily in any event – which should give some support to prices. Although, some meat works may take the opportunity to close for maintenance or reduce capacity during the holiday lull so processor buyers may not be as active, impacting demand in the short term. On balance we’re probably looking at some sideways price consolidation as we head to the Easter break.